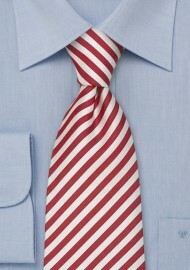 A classic silk tie in candy cane striped look. A stunning looking handmade silk tie in extra long length. 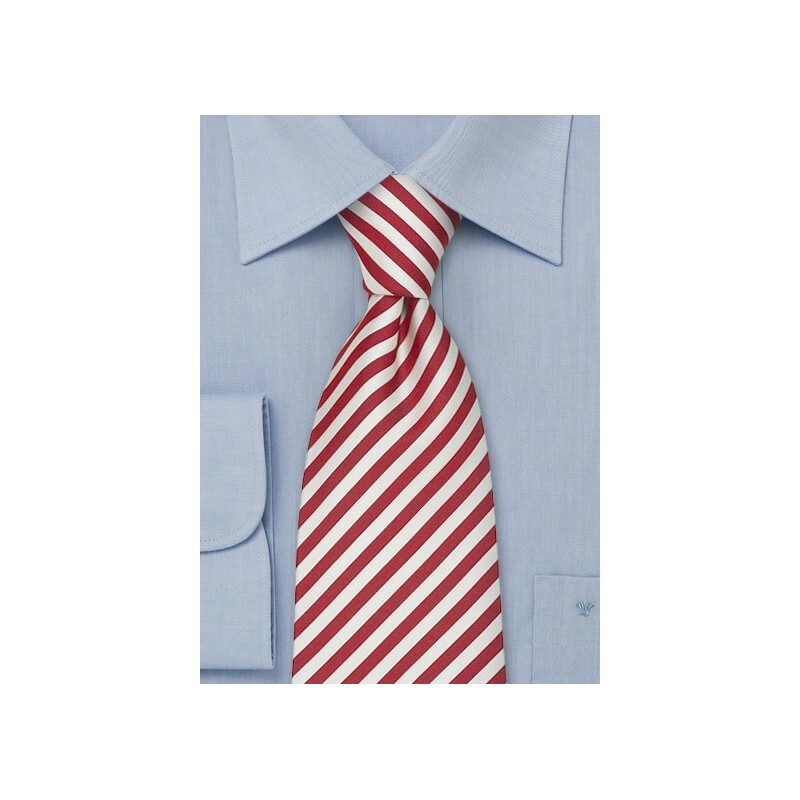 The white and red stripes look best in combination with any shade of blue - either in the shirt or the suit. Extra Long Ties are especially made for taller men. If you are above 6’3” and/or have a larger neck size, then extra long ties will be the right fit for you. Typically Extra Long Ties are about 61” inches in length, making them 3-4 inches longer than a regular sized tie.